Commuting in 30 degrees plus heat has, for the most part, been a pleasure – especially given how long and cold winter was, and particularly, as colleagues have been complaining about the tube being hotter than the legal maximum temperature in which you are allowed to transport cattle. But a downside is the fact that, carrying a rucksack, my top gets particularly sweaty. Without going into too much detail, let me say that putting on a wet top for the ride home in the evening isn’t particularly pleasant. So when I was presented with the opportunity to try out the Topeak MTX TrunkBag DX, I was intrigued. Here was an opportunity to transform my commute, and change the focus of my cycling: I’ve wanted to try out panniers or rear-load luggage for a while but the outlay is a fairly big commitment when you could end up deciding you don’t like them and reverting to carrying a rucksack. The selling point of the Topeak MTX TrunkBag DX, and a number of other items in the range, is the ‘QuickTrack’ technology – which means your bag can simply slide on to the rack, click on at the end, and you’re good to go – and it’s easily removed once you’ve reached your destination, too. You do of course need the compatible rack here, so I purchased a Super Tourist DX Tubular Rack (from £29.67 at Amazon), which is available with or without spring, and for disk brake bikes too, to go with it. The rack is available in a simple beam attachment style, but I decided I wanted the sturdy security of the tubular variety. Prior to trying it out on the commute I put the trunk bag to the test on a supermarket run, where I was buying some pretty bulky items such as milk and a loaf of bread. Even with the bag empty, I noticed its presence straight away, but I was quickly used to it. As well as the simple attachment to the rack, the trunk bag has fold out panniers on both sides, meaning you can have the bag simply as a trunkbag, sitting atop your rack, or with the panniers open too – as I did on the return from the shop. The weight was very noticeable of course, but I was pleasantly surprised at how I barely noticed it once I was riding along and in the swing of things. Of course, I was a bit more careful on taking corners, and was conscious when riding past traffic due to the slight extra width I had. But the best difference I noticed? Not having a sweaty back. As well as the side stow away pannier bags, the trunk bag comes with an expandable main compartment, which can be separated with a velcro divider, an internal pocket for your phone, wallet or whatever you fancy, and an outside drinks holder. There is also a clip on for a rear light, and a detachable strap for use off the bike. Arriving at work this morning was a lot more pleasurable given I was a lot cooler, and, using the main compartment and one of the side panniers, the bag held my towel, wash things, trousers, shirt, wallet, glasses case and blackberry comfortably. In addition, having the three very separate compartments, rather than the slightly-but-not-completely separate sections of my Rapha rucksack, being able to keep my wet towel separate from my clothes during the day is a bonus. Retailing at anything from £54.95 on Amazon, the Topeak MTX TrunkBag DX is a great piece of kit for commuting. I lost no speed on my commute, but was certainly a lot more comfortable. The difference in comfort and space available made up, I think, for the difference in weight on my bike, but other people may prefer to have the extra weight on their body rather than their bike. At just over 1kg empty, plus the weight of the rack, the weight difference is certainly noticeable. But then the main compartment (different sizes are available) holds 12l, and the bag and rack can support up to 25kg of weight. So for touring, shopping – and commuting – it’s a good luggage option that leaves you free and comfortable on the bike. I simply use a large plastic bag inside my Topeak when it rains. The Explorer rack is not AS ugly and carries more weight than you are likely to want to try to stuff into the DXP bag. I’ve had mine for 2 years now, used every day as I am a full-time cycle commuter. Not a rip, not a break, it still looks great. I love it and recommend it whole heartedly. If it’s good enough for the cops-on-bikes, it’s good enough for me! I own simillar solution from Altura – Altura Arran Transit Drop Down Rack – and I simply love it, side pockets did not seem to be very sturdy, but they have proven the opposite. Lifting the bike up the stairs with bag full of heavy shopping, but apart of this, I love the bag! Messenger bag in the summer, panniers (two, balance the load) in the winter, helps stop the waterproof from flooding. Leave the towel over your work chair or get a pack towel! Had the MTX DXP for just over a year. absolutely love it, in my experience the waterproof cover is overkill, I do have it but don’t bother with it unless I’m guaranteed rain for the whole day, its pretty good without. when i REALLY need space, i leave it just as a top bag and stick 60l panniers on the side, with the topeak super tourist DX rack its really easy as it gives a top rail for the rack bag and an offset rail on bothsides to attach panniers too unhindered. One added advantage is that the rear rack and bag function as a kind of mudguard, keeping your back drier in wet weather. Be aware that the the Topeak line, while excellent quality, is extensive with many confusing models. We have one bag that has the side pouches but lacks the fold-out paniers. Often, online listing don’t show or describe the item well. Best to check out the exact model in-store before purchase to avoid disappointment. I think the weight issue is unavoidable – you can’t add shopping without adding weight. It’s more noticeable on a lighter bike, of course. I’m not one for backpacks – the lower the weight is carried, the more stable the ride. 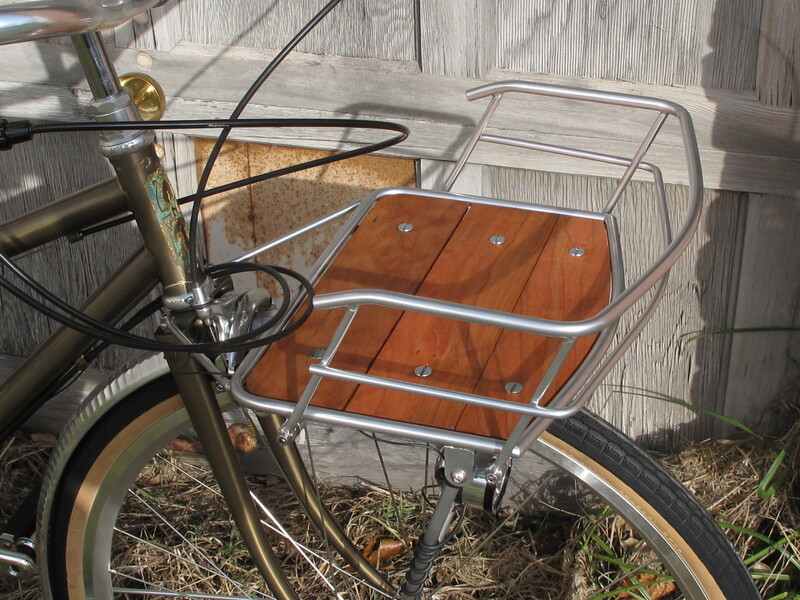 Overall, on a city bike or hybrid these rack/bag combos are a good solution. You can stash a couple of locks there and the weight will be more stable, and the bag slides off easily when you get to your destination. This is a great investment. I had it for two years now and use it everyday. Before I would wrap things on my rack with some elastic bands and after a couple of accidents, I went to the bike shop and got the biggest one. I only wish they would do it in nice trendy colours and maybe with a back light included. The side bags are good size, but on windy days they hit my back wheel when riding which slows me down. I don’t think there is another remedy than just put up with it. It is easy to use and release. I fill it up with shopping and everything else. I would recommend it to any commuter. If I stick something heavy like my Abus lock in the top bag I then find the bike is a bit unwieldy if I say push it along a pavement one handed. Really need two hands to control it. The tension tie downs on the bottoms of the fold out panniers have a tendancy to come unsinched resulting in the panniers flapping around as you go around corners. Finally, probably just me but having the bag attached makes it harder for me to get my leg over and onto the saddle. But despite all the above I find the benefits of a solid frame I can carry awkward loads on with a few bungy cords or a clip on bag with plenty of capacity to far outweigh the above limitations. Very nice, but buy this one instead, no ugly pannier rack required, fits all you need for the average day ride/commute, including a D lock. Have been using Topeak trunk bag on my road bike/Comute bike for 4 years now. That plus a bar bag got me from Roscoff in Northern France to Santander Northern Spain in 10 days of moderate cycling. Has its own waterproof cover Used twice and takes the load off my back. Durable and very easy to load and unload.Also stops you taking too much stuff. I now use it every day on a comute and to the gym. Does not affect bike handling in any way Highly recommendable. I doubt it very much. The bags are about double the size of the pocket they store in. You could try and contact Topeak directly – they are a very good company to deal with. Bear in mind there are a number of very similar models offered.